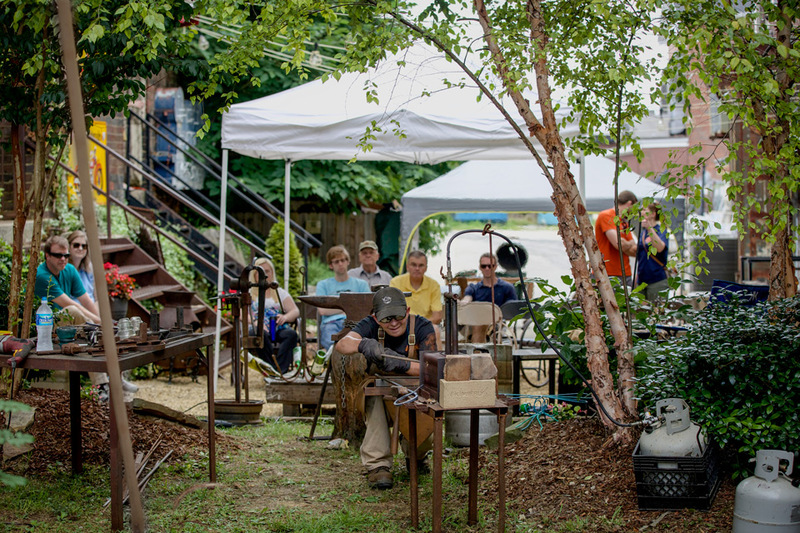 This past Saturday, artist Berry Allen joined us at Southern Accents for an ironwork demonstration. 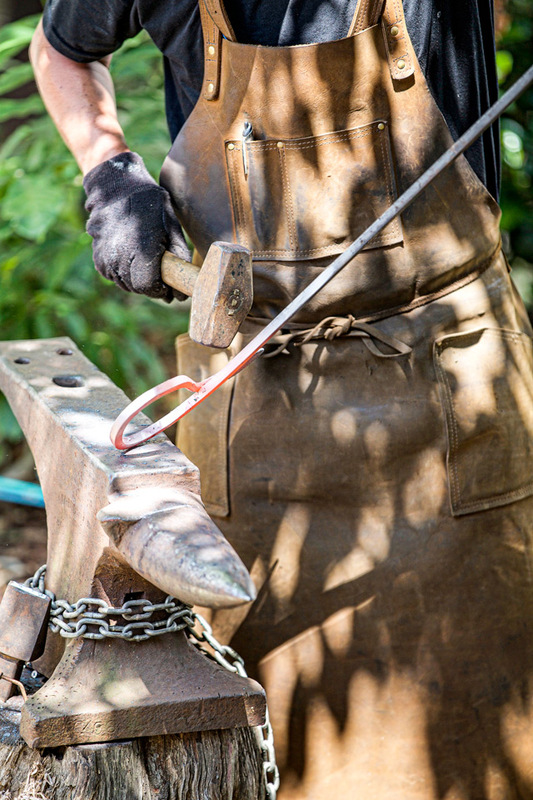 Berry demonstrated how he turns iron into hardware and decorative pieces for the home. Berry is a native of Huntsville, Alabama. 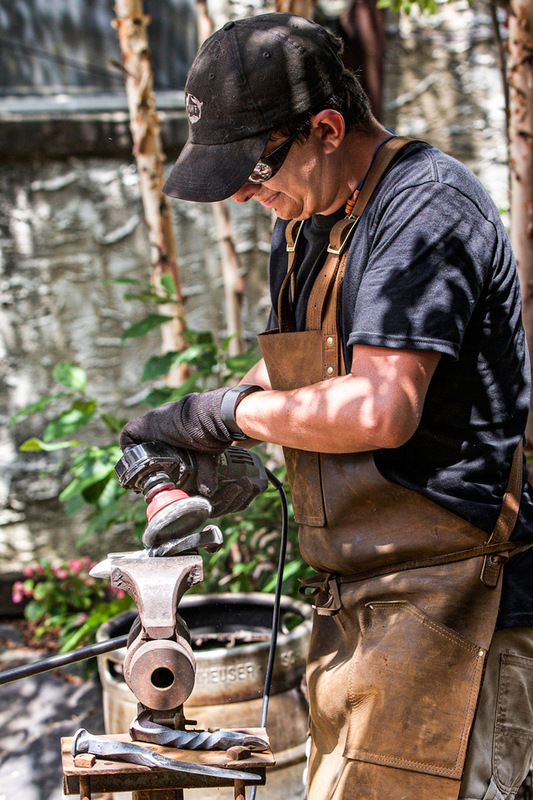 He specializes in hand built clay figures, free form platters, and large metal sculptures. 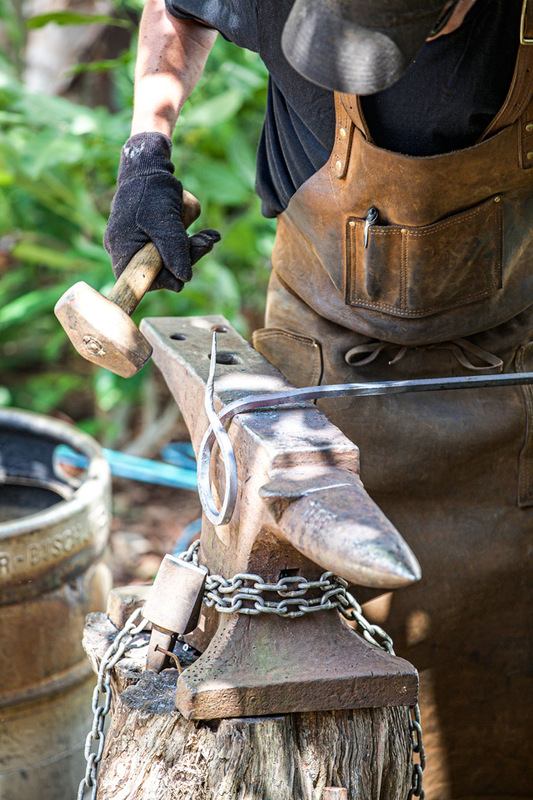 Berry spent four years in Birmingham specializing in blacksmithing and stone and fountain restoration before returning to Huntsville in 2006. 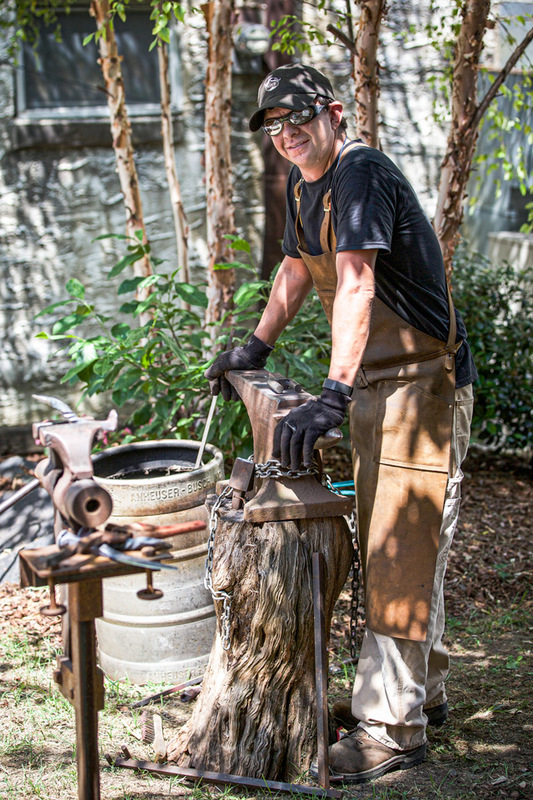 He has been a featured artist at the Panoply Arts Festival and has had his work exhibited at the Von Braun Center Visual Arts Achievement Program. He has been project manager and part of the fountain installation team for Bridge Street in Huntsville. 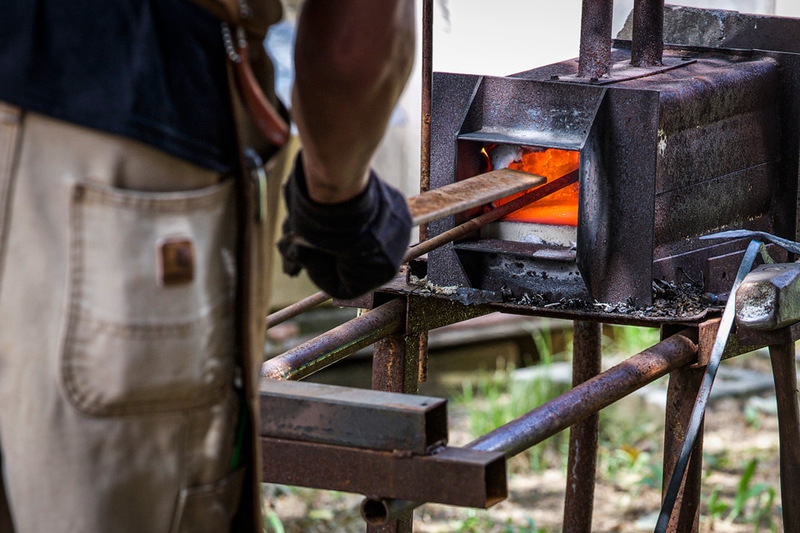 Berry’s interest in blacksmithing was peaked in college when he saw liquid iron for the first time. He was introduced to it by an adjunct professor from Sloss Furnaces. Berry said that he likes having the ability to take a material that is rigid and cold and transform it by fire into something that has movement and warmth. Berry is living a lot of young boy’s dreams… he gets to play with fire every day! When asked about his connection with Southern Accents Berry said, “I’ve been an avid shopper with SA for years. As an artist, I appreciate hand crafted products. I am intrigued by all the items that are salvaged and saved by Southern Accents. I love how so many of their salvaged goods are fashioned by hand into useful items and works of art”. Thanks to everyone who stopped by Saturday. We had a great turn out to watch Berry demonstrate his skills. We’ve had a lot of great feedback and hope to have Berry back in the near future. 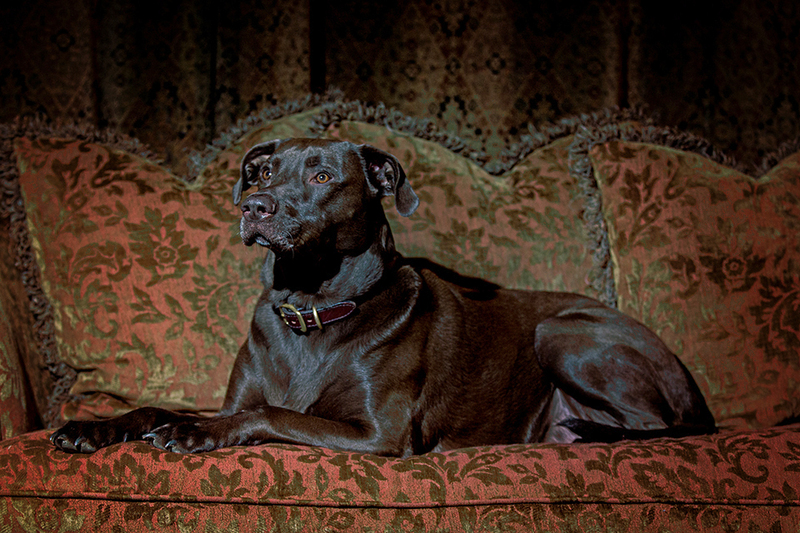 In the mean time, you can visit Berry at his studio located between Walker Avenue and Howe Street in Huntsville or online at www.baughart.com. We will also be bringing some of Berry’s creations to our showroom soon! Stop by Southern Accents wood shop during the week and you will likely find Josh Howe hard at work doing what he loves most… working with his hands. Josh is multi talented and brilliantly creative. We met Josh two years ago at our annual alley party that he attended with his wife Amber, who had been working with us to coordinate the events entertainment. There was an instant connection and shortly after Josh joined our team. Josh came to SA with an extensive background in granite, stone, ceramic and wood. Josh is a graduate of the University of Montevallo with a Bachelor of Fine Art degree. 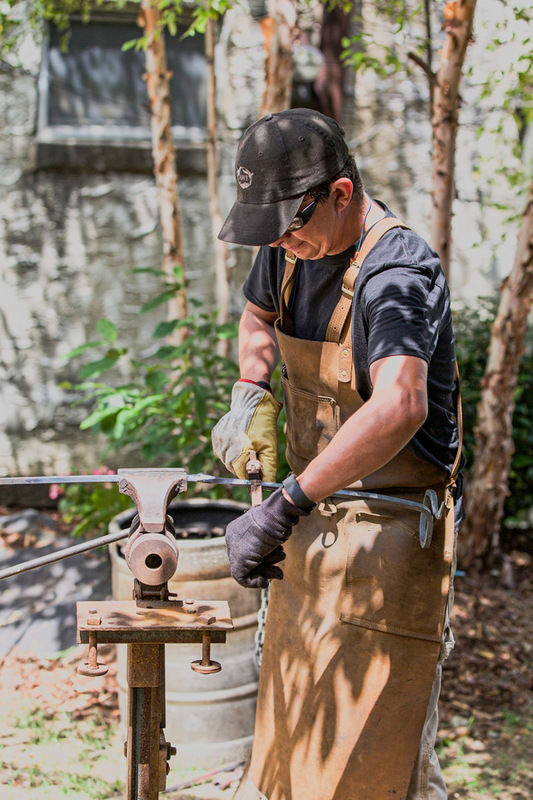 His concentration in sculpture was made evident when he showed up recently with some magnificent pieces that he had sculpted from wood and metal. 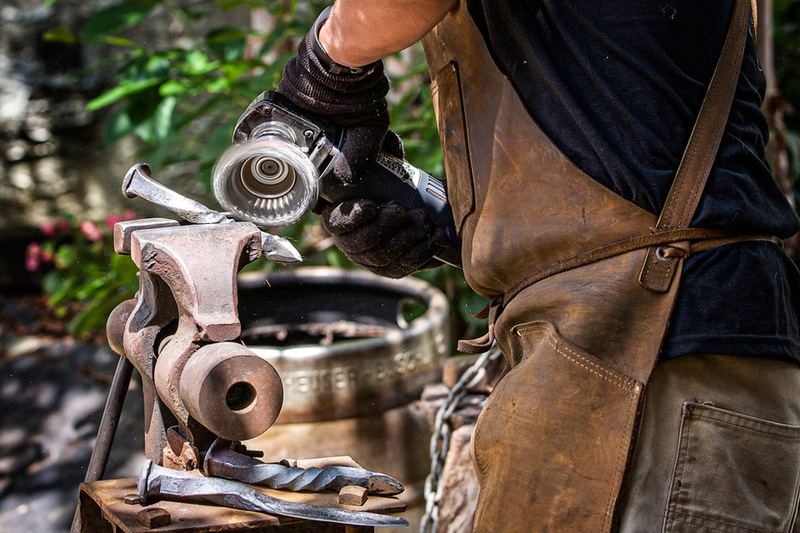 Josh especially loves working with tools, but also throughly enjoys the creative process of seeing a project through from conception to completion. He has been instrumental in working on many recent projects for SA from designing an award last year for Main Street Alabama to our most recent design projects for Southern Makers. 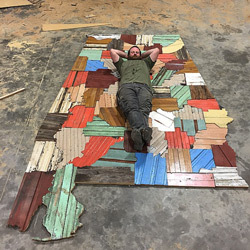 Josh spends the bulk of his time at Southern Accents in the wood shop where he does everything from repairing salvaged antique items such as doors and mantels to designing and building custom items from salvaged wood for our many customers. Away from work Josh enjoys restoring old furniture and is particularly fascinated with the history of architectural pieces. His greatest joy however, is spending time with his wife Amber and their two young children Vesta and Sylas. Our in house wood shop allows us the ability to strip and sand many of the architectural pieces that we salvage, bringing the wood back to a natural finish. Josh and Roger are also able to make needed repairs as well as custom build doors, tables and other items from salvaged wood. If you would like a quote on a custom job, please give us a call or stop by our showroom during regular business hours. Southern Accents mission is to rescue, restore, protect, and document architectural elements of historical significance. What you may not know about Southern Accents, is that we also have been known to rescue elements of the furry (and feathered) kind! Search our blog and you will find several entries about Chance and Bobby, SA owners Garlan and Heather Gudger’s rescue dogs. Last fall they added a new member to the family when they took in a stray kitten, Pumpkin! Pumpkin was a stray kitten rescued by Heather and her boys last fall. Pumpkin, who thinks she is a dog, has become a permanent member of the Gudger household. Visit our showroom and you will discover that we are a “pet friendly” business. Quite often, our lab mix Chance, will meet and welcome you at the front door. We have a grassy area in our back alley and recently installed pet litter bags to accommodate our four legged friends who may need to “take a break” during their shopping trip! Our affection for animals extends well past our owners rescue pets. Last spring we nursed two baby bunnies back to health after their nest was destroyed by a storm. We keep a bag of bird food handy to help out the momma birds who nest each spring above our back door. 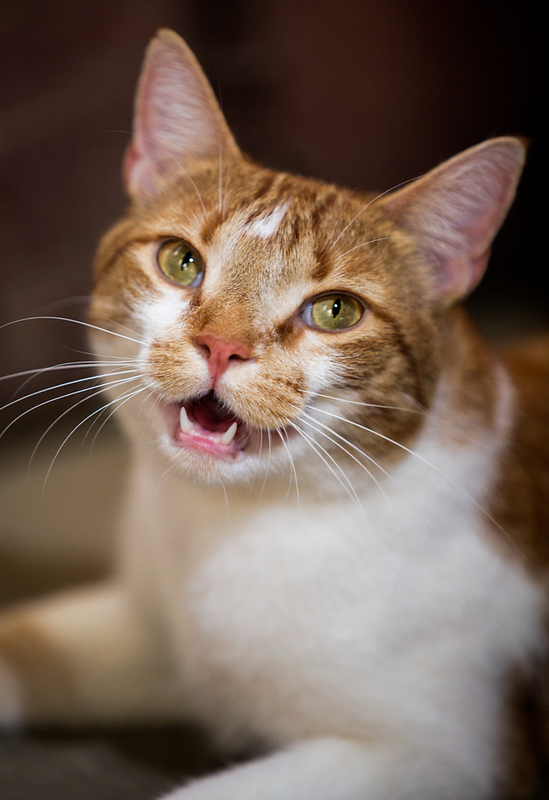 Chance was only a few weeks old when he was rescued from the parking lot of our wood showroom. 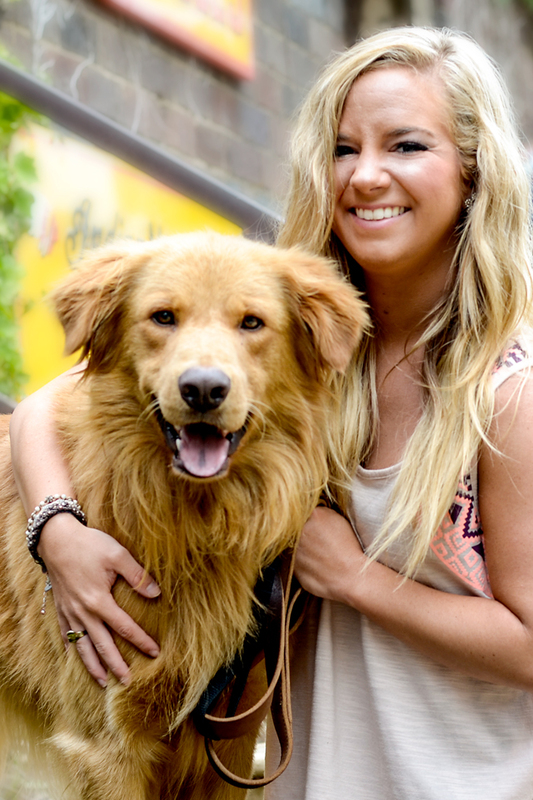 You can read Chance’s story in our blog post from July 12, 2012. In an effort to help support those who are working to find loving homes for rescued pets, we are collecting bags of dog food during the month of June. Bring in a large bag of dog food, minimum of 18lbs or larger, and receive *20% off regular priced items. All pet food will be donated to Crossing Paths, a no kill rescue organization working to unite dogs that have been rescued from shelters with forever homes. Come visit with us at our showroom, drop off your dog food donation, and use your discount to pick up those cool architectural items you’ve had your eye on!! *Discount applies to regular priced merchandise. Discount is not valid on consignment items, special orders, previous purchases, already discounted items, custom orders, wood shop services or shipping. Meet some of the other SA Team and their four legged family members! Channing, who was rescued from the local animal shelter, is the newest member of Makenzie’s family. Makenzie rescued Channing last fall. This picture was taken the morning that she picked him up. Channing hasn’t stopped smiling!! 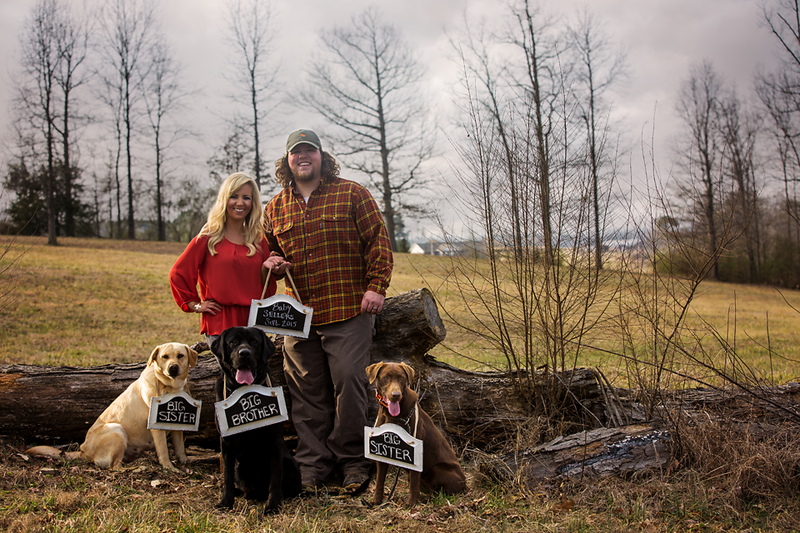 Ben and his wife Lindzie are the proud owners of three labs, Nala, Huck and Tate. Their four legged children are preparing to welcome a new member to the family this fall! This picture of Lisa’s daughter Isabella and her new lab puppy Maura captures the incredible bound that can form between an owner and their pet. Maura shares her home with Lisa’s three other dogs, one of which is a rescued collie mix named Max.